It looks like Ray’s troubles are far from over. Showtime has renewed Ray Donovan for a third season. There will be a dozen episodes once again and production will begin on them early next year. The series airs on Sunday nights and season two has been averaging 1.36 million viewers — down just 4% when compared to last year’s episodes. The season finale is expected to air on September 28th. What do you think? Do you like the Ray Donovan TV series? How long would you like to see it run? Great show, but they need to get rid of Donovan’s foul-mouthed wife. So much trash comes out of her mouth that it gets boring! Please don’t cancel, love this show!!!!!!!!!!!!!!!!! 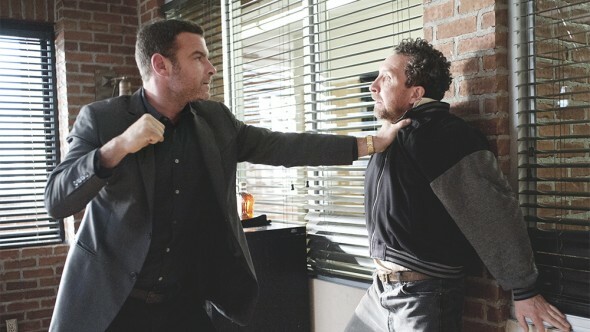 I love Ray Donovan! Be happy when it returns. PLEASE, PLEASE don’t cancel Ray Donovan it’s t he best show on Show Time I am begging you to keep it going or I’m canceling my Show Time. It’s the only reason I subscribe. please do not cancel…..love this show!!!!!!! This is a great show! Renew for at least three more seasons.Why do you keep caceling great shows?